Tough enough to tread on toes of steel! 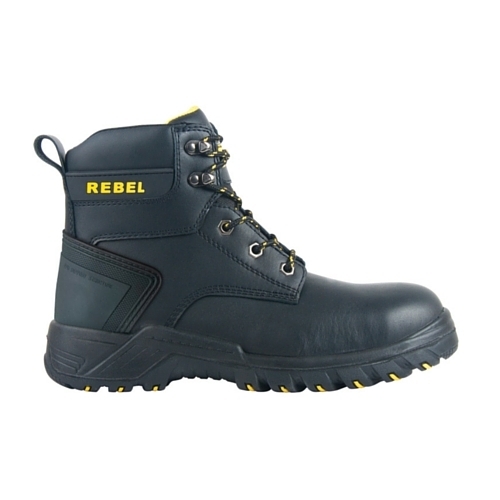 Our REBEL Safetygear S1 safety footwear boasts state-of-the-art composite toe caps, beating steel in performance, with no compromise on comfort and support. 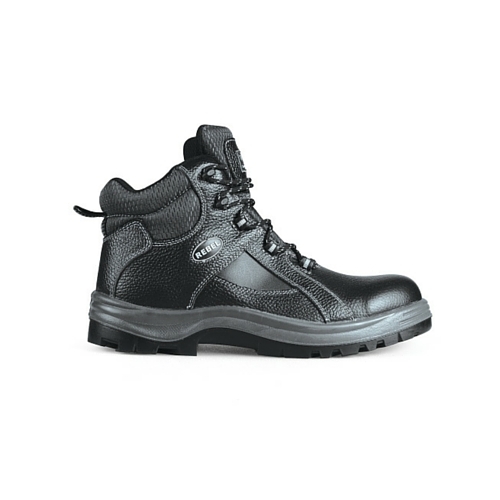 This Non-Metallic Boot is ISO 20345 and SABS approved. 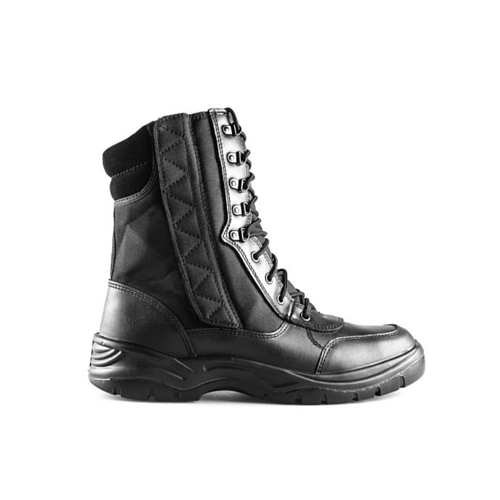 Features include 100% metal free design, a durable Barton print leather upper, and an anti-penetration nail guard sole. 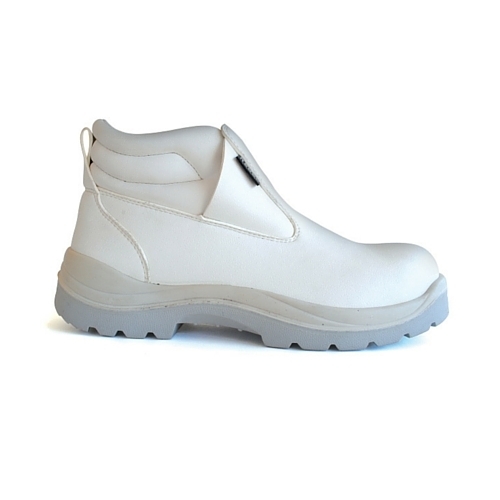 Highly durable Barton print leather upper. 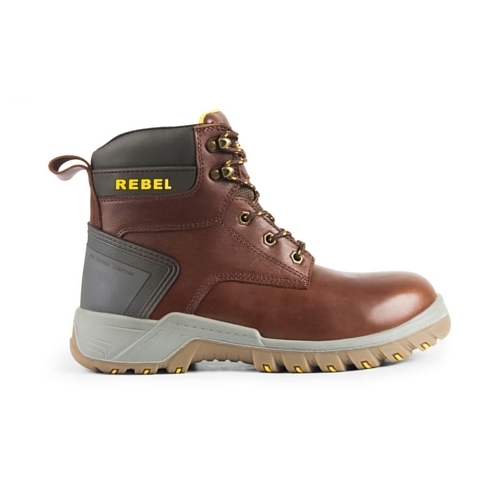 Wide fitting, non-metallic composite toe cap.